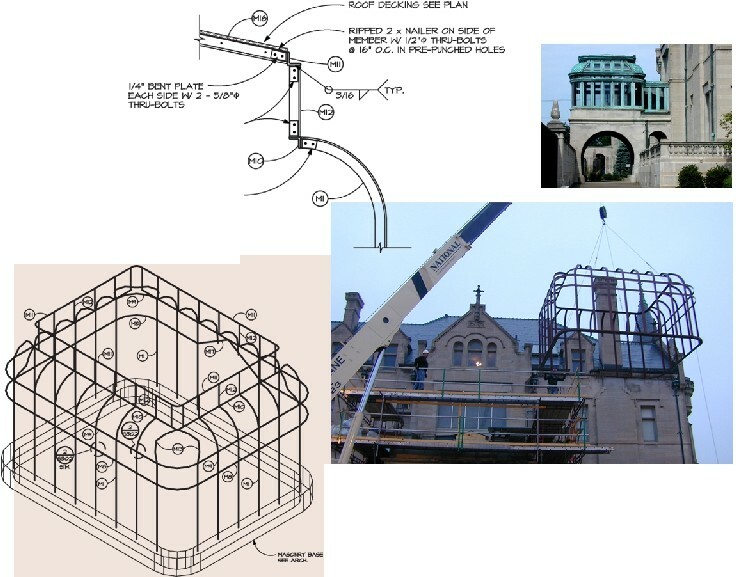 A structural design of a new steel framed solarium to replace the deteriorated original historic structure was our goal in this project. Attention to construction and detail made this unique project a success. MMY developed new bolted and welded connections to ease the construction process and strengthen the stability of its three dimensional framework. Today’s construction techniques were seamlessly blended with the traditional detailing already present on this historic building. Our reward was to know that we helped preserve a bit of Minneapolis’ architectural past.